Your summer vacation is over, your sunburn has (mostly) healed and you’ve got tons of video clips of your trip. How can DivX help? First off all, try gently rubbing aloe vera on the sunburn. Secondly, let us help you make your videos more manageable to preserve and share your memories. 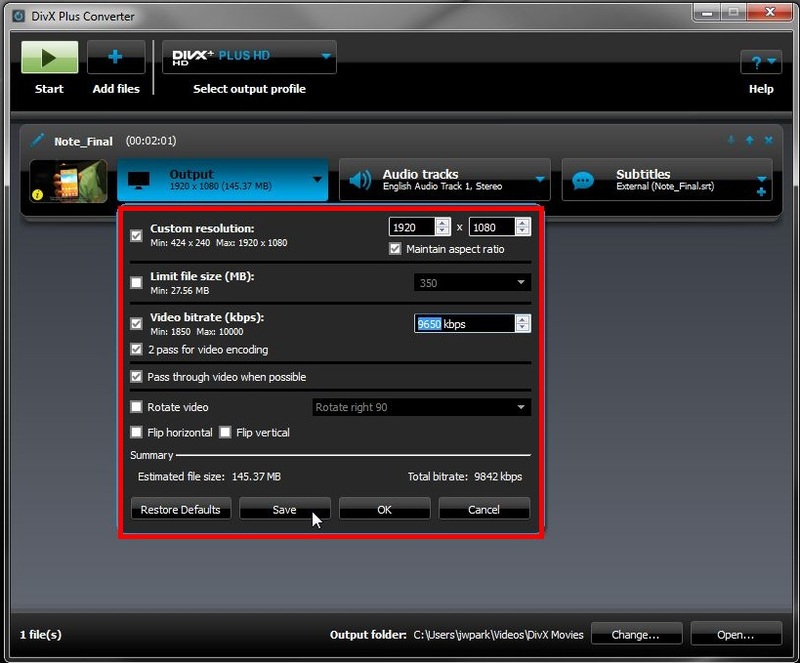 To convert files, you can simply drag the files you want to convert onto DivX® Converter. Choose which profile you want from the dropdown menu (there are new profiles specifically for PlayStation) and click “Start”. Hopefully it’s as easy as I just made it sound. If not, don’t hesitate to check out our Support articles or contact our Support Team. With the free DivX Converter, you easily combine multiple videos into one, single file. In addition to compressing your video to help you save space (video files can get pretty massive), if the files are from the same source – say your phone or video camera – you can check the box for the cleverly named “Combine all videos into one file”. Drag all the videos of people jumping into the pool to make one pool-jumping-montage video. Read more about combining files. Another free feature of DivX Converter is to choose custom settings before you convert your file. You can limit file size, create a custom resolution and more. One feature that may be particularly useful is the ability to rotate or flip a video. If your videos are showing up sideways (likely from your phone), you can correct them by simply checking a box. Additionally, if you have a series of files like this, you can create a preset that rotates your video by selecting the “Save Preset” button. This new profile will show up in your list of profiles and you can easily bulk convert videos to correct their orientation. Read more about custom presets. Make your memories easy to enjoy. 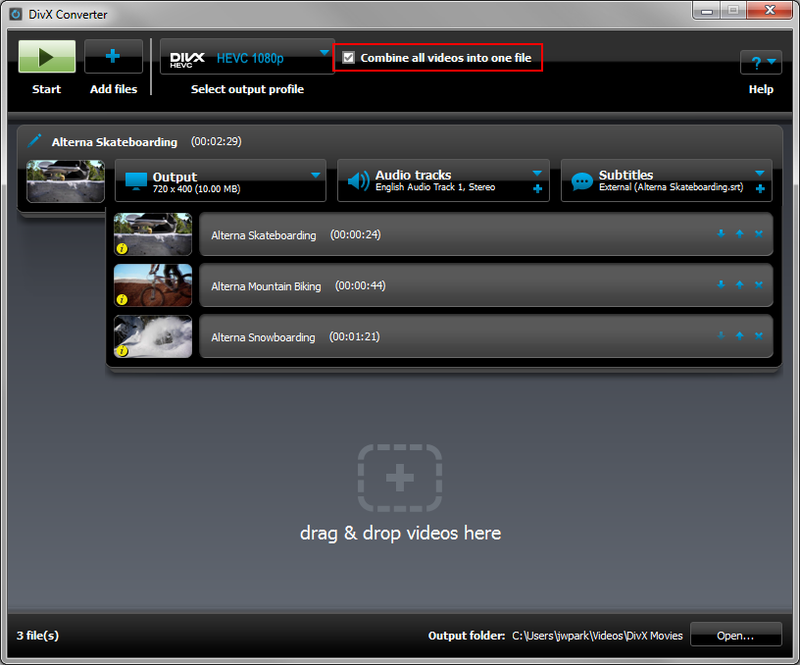 Use DivX tools to convert videos, combine multiple clips and to share them with friends and family. Also, don’t forget to use sunscreen.